When I married my husband 25 years ago he came with furniture from his college days. Mostly found objects that were in need of sprucing up (he once mentioned an alley in Old Montreal). One of those pieces of furniture was this small chest of drawers. When my daughter was born I decided to paint it and upholster the drawers for her nursery. It has since been painted and reupholstered for the second time for her current bedroom. The first time I upholstered it in a polished cotton chintz and the second time with a heavier weight upholstery fabric. It is easier to use a lighter weight chintz for this project. 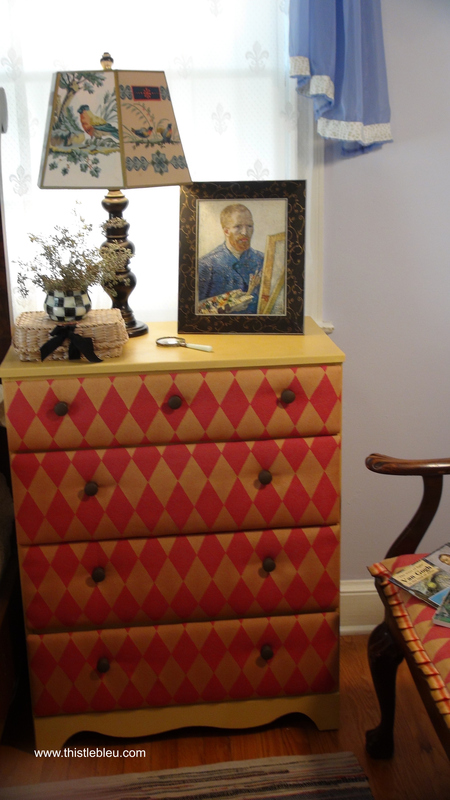 I upholstered the drawers with this harlequin upholstery weight fabric from Discount Fabrics USA over 10 years ago and it still looks great. Harlequin prints are just so timeless. I recently repainted it with Annie Sloan paint in Arles and then waxed it. Van Gogh spent a lot of time in Arles, France. This yellow hue definitely reminds me of the yellows he loved to use. The drawer should have a lip so that you can wrap the fabric around to the inside of the drawer front. Cut out your cotton batting the same size as your drawer front. 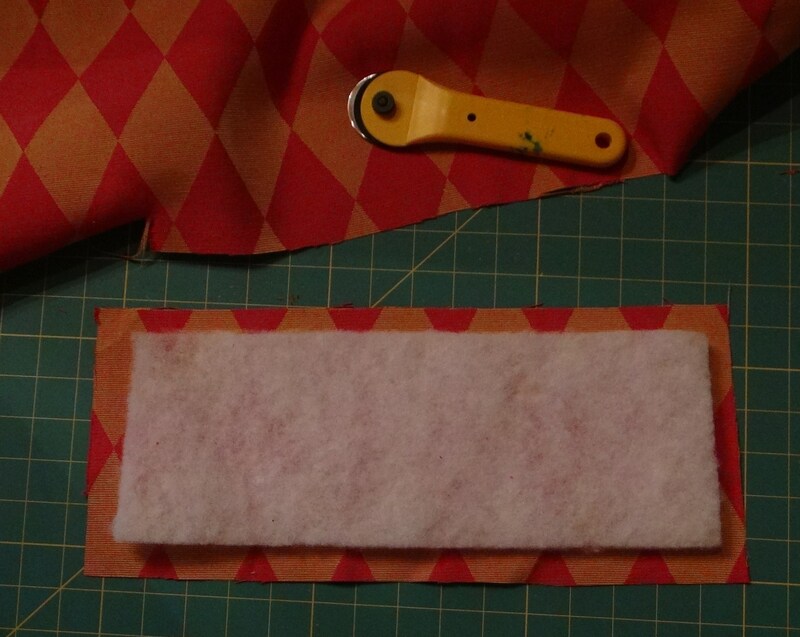 Cut out the fabric approximately 1/2″ – 1″ larger than the batting depending on the size of the lip. 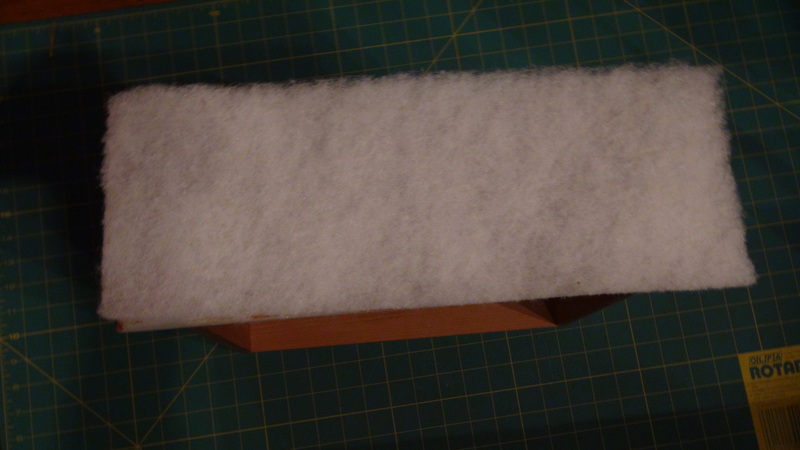 Glue the cotton batting to the drawer front using Twice As Tacky Glue. Lay the drawer with batting on the wrong side of the fabric. 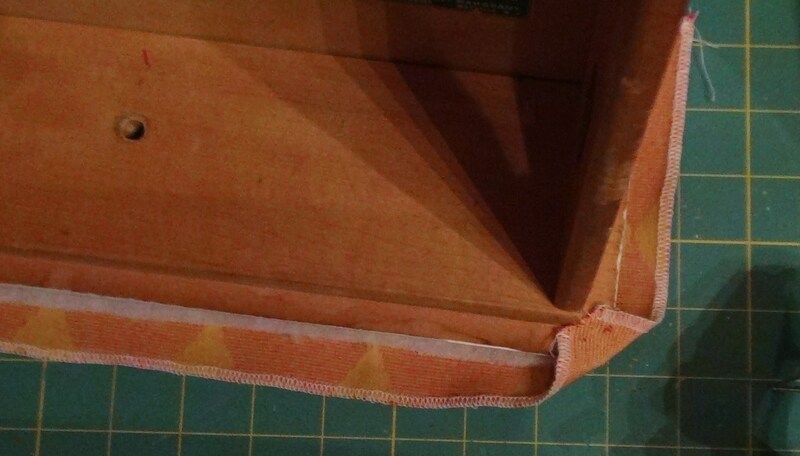 Snip all 4 corners of the fabric and glue with the glue gun to the lip’s corners. 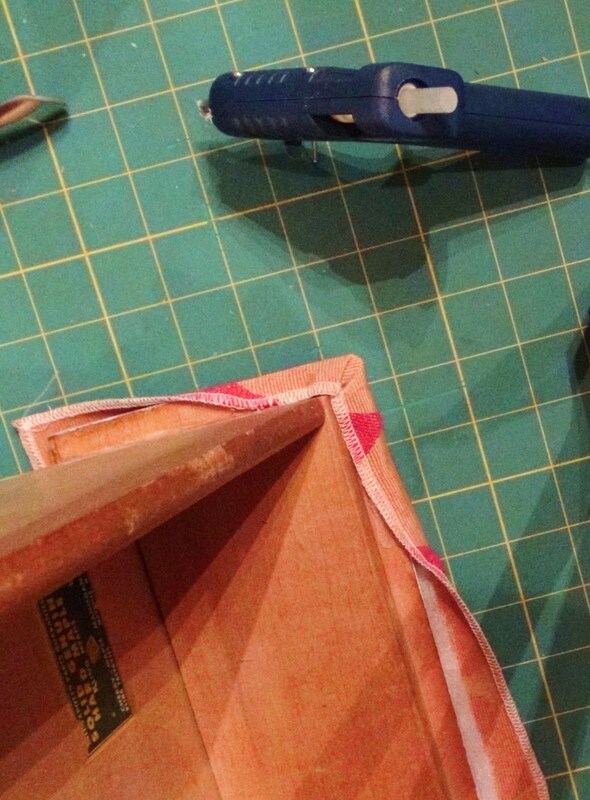 Finish folding the corners and glue down with the glue gun. Glue the remaining 4 sides of the fabric to the lip. A staple gun could also do this job but I found that a glue gun was easier and it has held up for over 10 years. Using a small pair of scissors carefully poke a hole through the fabric and batting for the knob. Attach the knob. What a fun dresser. Very well done. Thanks for commenting on my blog and making it possible for me to find you!